A large finch of the forest trcctops. 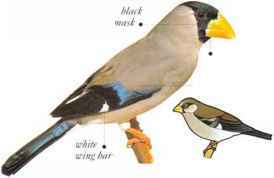 this bird has a massive bill, with which it can open cherry pits to extract the kernels. Other foods are seeds, buds, and fruits. Seen in small parties in winter. 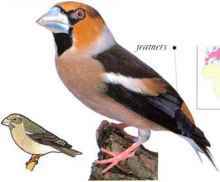 Hawfinches are secretive birds at all times. 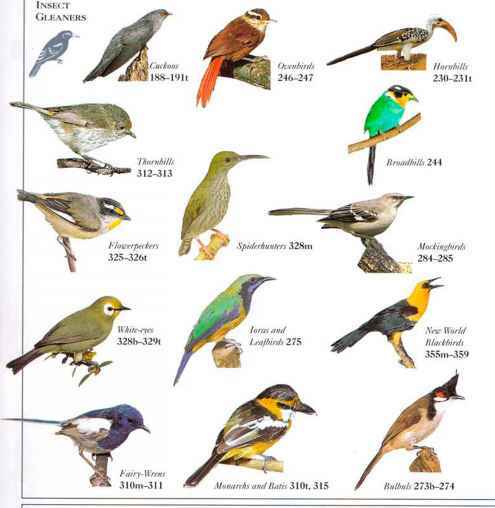 • NEST A shallow cup of twigs and plant materials, lined with rootlets, anil placed in a tree.